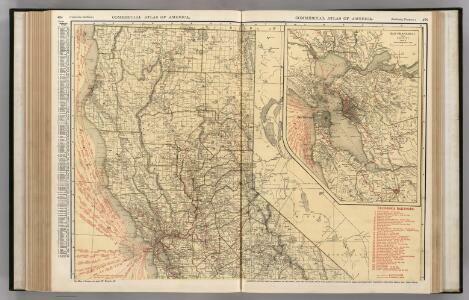 Bancroft's New Map Of Central California. 1 : 760320 Knight, W.H. 1 : 595000 Jackson, William A.
Sacramento, Amador, Calaveras, San Joaquin, Tuolumne, Stanislaus, Merced, and Mariposa Counties.